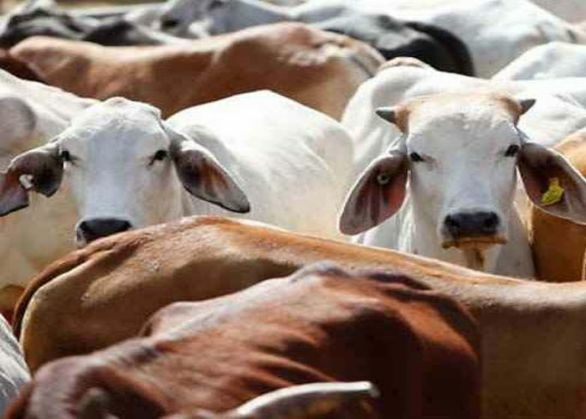 In a gruesome incident, a 50-year-old man was hacked to death by an angry mob in Dadri, Uttar Pradesh, allegedly over rumours that his family had consumed beef. The deceased has been identified as Mohammad Akhlaq. He, along with his son, was dragged out by villagers and the duo was beaten with bricks. Akhlaq succumbed to his injuries on the way to the hospital, while his son is in a critical condition. Before assaulting the father and son, the villagers broke into their house, wrecked everything and even attacked the women. Reportedly, Akhlaq's wife has stated, "My husband was bleeding, his head was smashed. They thrashed all of us even though my husband had no enemies." The police rushed to the spot and found that the men were still being beaten following which six men were arrested from the spot. Akhlaq's daughter said they only had mutton in their fridge. The meat has been sent for forensic testing. The police is investigating origin the beef rumours. "We found out that they were attacked due to rumours that they were eating beef," said S Kiran, a senior police officer.